A draft 55 for Margaret Bednar’s Play it Again, Sam on Real Toads–I am rather tired this time of year so resorted to one of the many wonderful 55 challenges, still held in honor of the wonderful G-Man, Galen Haynes. 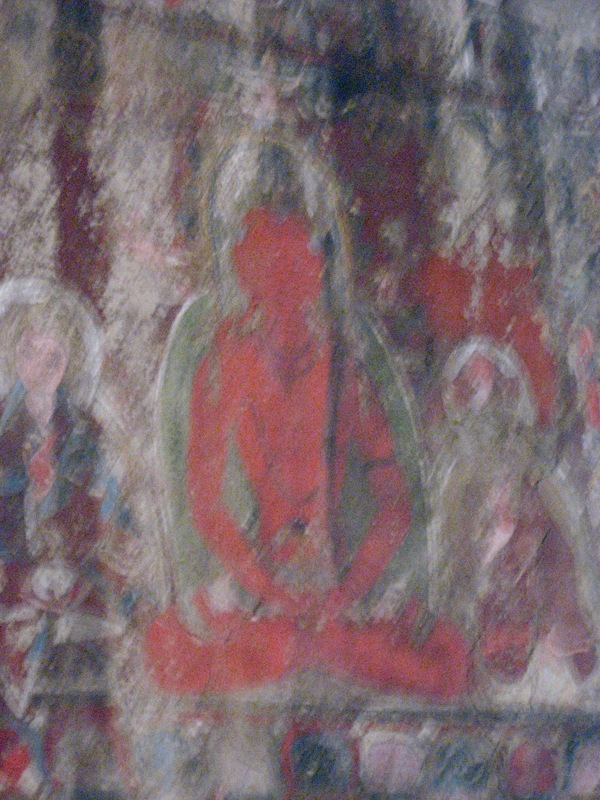 The pic is one I took in Ladakh, India, years ago, at a Buddhist shrine. This entry was posted on December 27, 2015 at 5:31 pm and is filed under poetry, Uncategorized. You can subscribe via RSS 2.0 feed to this post's comments. My first cousin is named Ione. Her immediate family members call her Oney. Moments of inner rest are so needful, if hard to come by. I loved the word play throughout. This is a neat 55. The rhyme and the poem’s own beat are strong, feeding warmth from soul to heart, heart to life. I also like the hint of human ambiguity within the certainty that seems to come with the last word and its push-away dash. The first few lines also remind me of singing – how important it is to be able to read the notes – to rest and breath at certain pre-planned spots and give each note its true beat – it can make or break a song and most people have NO idea how to breath or rest on the important spots. Of course, poetry is the same way… Nice, even though it took me to a bit of a different place than I think you meant it to.